You are not logged in. 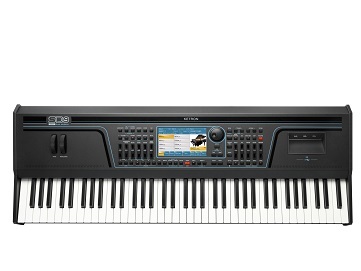 [Log In] Synth Zone » Forums » The Arranger Keyboard Forums » GEM Keyboard Forum » GEM Genesys Pro (61keys) Software needed. #345543 - 06/08/12 09:24 AM GEM Genesys Pro (61keys) Software needed. Does anyone have the original Operating AND System files for the GEM Genesys Pro keyboard? Need to re-install into a customer's HD which was whipped out clean (RAM was also erased). Please send files to Ketron_tech@yahoo.com with subject "GENESYS OS & SYSTEM FILES". Not yet. It has been a very VERY hard find. Even folks at GEM in the US are not picking up their phones nor responding to emails. If you have it please email it to me with subject "GENESYS OS & SYSTEM FILES". I now have a copy of this in case this link becomes unavailable in the future.